Could have been a fantastic chip. But they turned two cores off. So it isn't. They turned the bloody cores off! A new high-end processor from Intel is normally a cue for much rejoicing. After all, who doesn't like exciting technology and the promise of epic new levels of performance? In that context, the all-new Intel Core i7-3960X is as snazzy as they come. It's a properly new chip, not an upclocked respin of an existing design. It even comes with a new socket and chipset, known respectively as LGA 2,011 and Intel X79. But there's another side to the story of this chip, otherwise known as Sandy Bridge E. And it's symptomatic of a broader problem with the PC platform. The story starts with a history lesson - the origins of multi-core PC processing. It all began when Intel realised its fascination with frequency was on the verge of failure. The chip in question was the infamous Pentium 4 processor. In its first and second generation iterations, Pentium 4 looked pretty clever. It rapidly scaled from a little over 1GHz all the way to 3GHz. Then the die shrink to 90nm arrived and the wheels fell off. That was June 2004 and the first significant date on our journey from a frantic fight for frequency to what increasingly looks like multi-core malaise. Intel's response was to cobble a pair of Pentium 4 processors together and create the Pentium D dual-core processor of 2005. The Pentium D was then superceded in summer 2006 by the much revised dual-core Core 2 family, which in turn begat the quad-core Core 2 in early 2007. Just like Intel promised, we were on a fast track to multi-core computing. In hindsight, that's when the problems began. It took a further three years for Intel to release the six-core Gulftown desktop processor, sold initially as the Intel Core i7-980X. 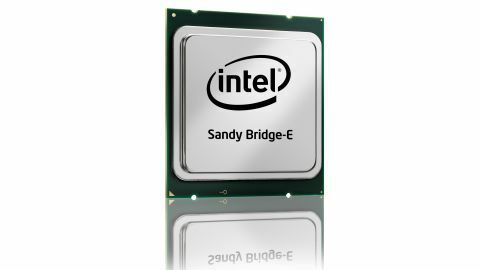 And here we are today with the launch of Intel's latest and greatest, a chip that defenestrates Gulftown's Westmere architecture in favour of Intel's fancier Sandy Bridge design. But it's still only got six cores. What, exactly, is going on? Things become even more intriguing when you discover Intel already sells server processors with up to 10 cores. Then you look at the die shot that Intel has released for the new Core i7-3960X and realise this new six core isn't quite what is seems. In fact, it's a little bit fishy. Time to find out more.